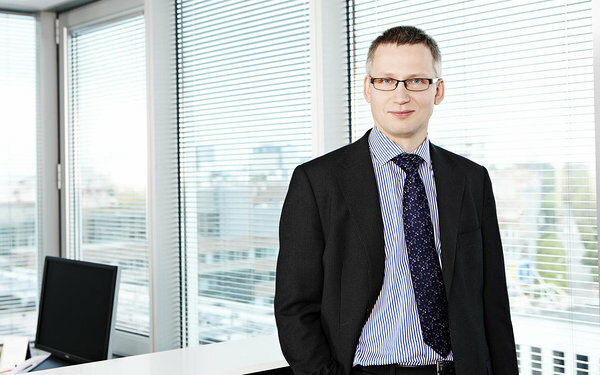 ESTVCA has elected Kristjan Kalda, partner at BaltCap, as a new Chairman. Kristjan also serves as the Chairman of the Supervisory Board of BaltCap portfolio companies TREV2 Group, Fitek and Magnetic MRO which was recently named Estonian Company of the Year and Estonian Exporter of the Year. Kristjan says that ESTVCA members, owning companies and employing people in different countries, have a very good understanding of Estonian competitive advantage. “We are well positioned to help improve the investment and entrepreneurship climate in Estonia and increase the competitive advantage by sharing our experiences and participating in developing legal environment”, added Kristjan. ESTVCA is the representative body of Estonian Private Equity & Venture Capital Indutry and was established in 2009. Goal of ESTVCA is to develop a sustainable and attractive ecosystem for the benefit of entrepreneurs, fund managers, institutional investors and to increase the output of innovative and high-growth potential companies in Estonian economy. ESTVCA has 15 members and 23 Associate Members. Combined assets under management of Private Equity & Venture Capital houses is €880m and the goal is to reach €1bn by 2020. There are total of 93 active portfolio companies employing more than 12 000 people. Revenue of those portfolio companies reached €1,3bn at the end of 2016. Members of ESTVCA are Ambient Sound Investments, BaltCap, BPM Capital, Eften Capital, European Investment Fund, Invesco Finance, Karma Ventures, KredEx, LHV Asset Management, Livonia Partners, SmartCap, Swedbank Investment Funds, Tera Ventures, United Partners and UP Invest.